Which location is better for a country rock tour than the Finnish prairie? 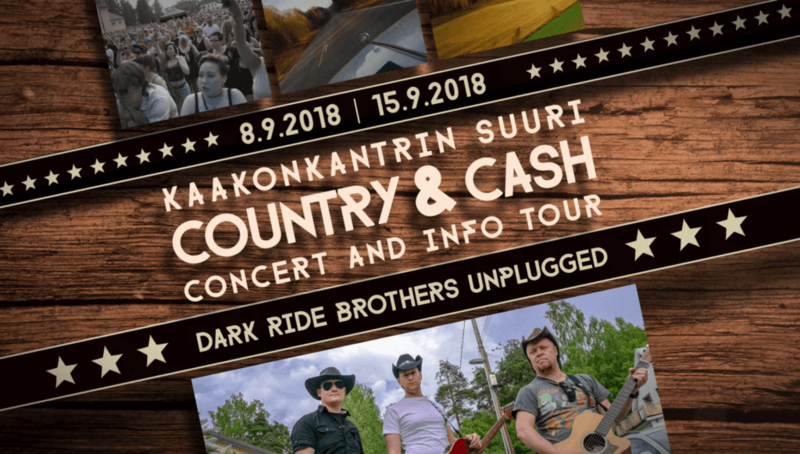 In autumn, we will be touring the countryside together with KaakonKantri and the Center for Economic Development, Transport and the Environment of South-East Finland! At four different locations we will play Unplugged gigs, and experts from various institutions will advise entrepreneurs and associations on the subject of funding opportunities in rural areas. After a number of shows on bigger stages we are looking forward to a litte "back to the roots"- and to playing acoustic gigs in Lemi, Ruokolahti, Hamina and Kouvola.